When Kyte Baby founder Ying Liu discovered that one of her children suffered from chronic eczema, she knew it was up to her to find a solution that would calm her baby’s skin and allow her to rest peacefully. With a background in design, economics and retail (Liu owned a chain of baby retail stores before founding Kyte Baby), Liu knew she could do better than the products currently on the market to help tots with eczema. When she noticed that her baby would pull open her pyjamas at night to try to stay cool, she began looking for naturally cool fabrics that wouldn’t irritate her daughter. The answer was bamboo rayon – a hypoallergenic material that also happened to be three degrees cooler than cotton. When Liu began swaddling and clothing her tot in bamboo rayon, the effect was immediate: she stopped pulling off her clothes, and her sleep significantly improved. Bath time just got more comfortable! 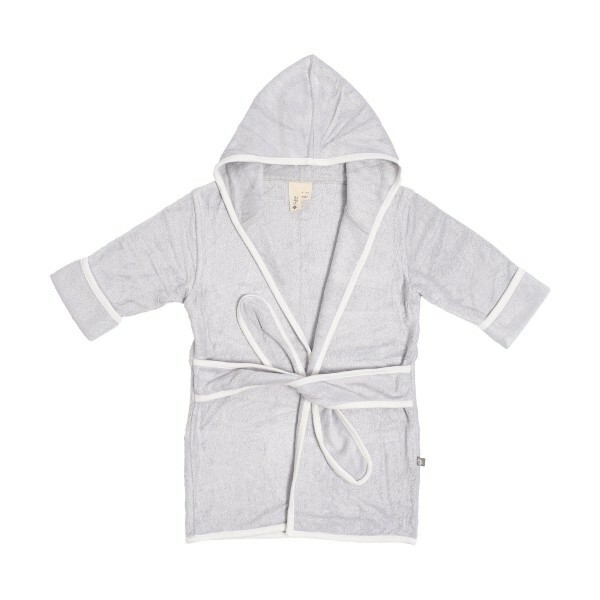 Made with 450 grams of bamboo terry, your little ones will love being wrapped in this ultra soft absorbent robe. 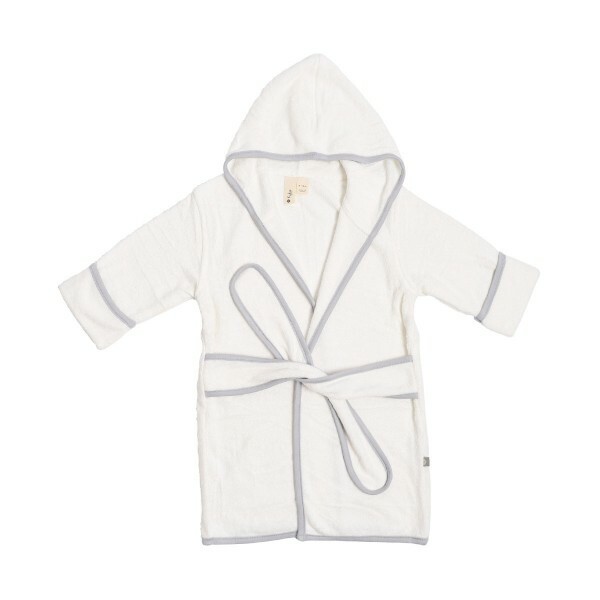 This luxurious plush robe is the perfect addition to your bath time routine for your growing little one.